Record the smoothest game video by using Filmora Scrn. Real time video recording is a tough task. If you are not aware of video recording and editing ethics, then it really gets impossible to edit videos on professional software frames. However, there are many software that allow you to record even real time games and that too without any previous knowledge about editing. The easy to use navigation panels and simple user interface makes it really easy to use them. Some of the most popular software are – Fraps, Bandicam and Camtasia. 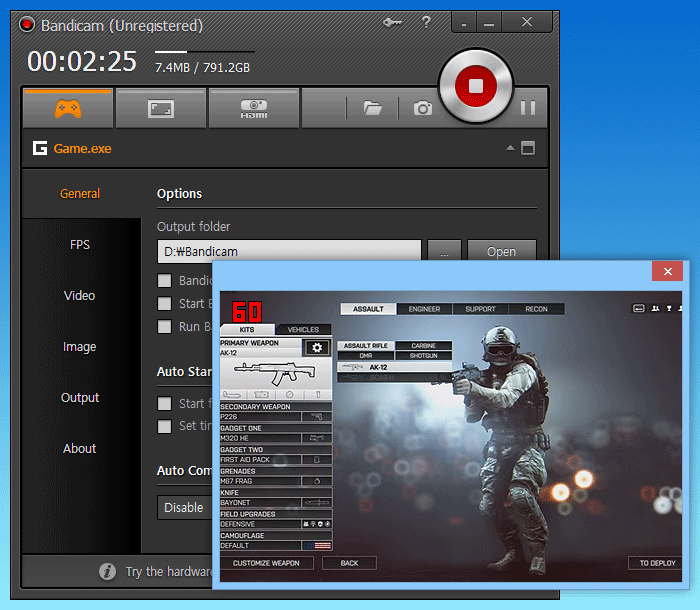 Fraps is a popular windows application that can be used on any Windows platform for real-time game recording. This particular application can be used with games having inbuilt OpenGL and DirectX graphic technology. Currently, Fraps performs a number of tasks and has been described as a benchmarking software system. Bandicam is an extremely lightweight screen recording system, exclusively for windows operating system that has the ability to capture high-quality PC screen video. Also, the application allows recording certain areas of a PC screen. It can even be used to capture games that use DirectX graphic technologies. The Camtasia video recording software is surprisingly easy to use. The simple drag and drop editing options in the system help you to complete the video editing process and that too faster than any other medium. The interface of the system is so easy that you will probably do not need any prior knowledge or experience on video editing to use it. Let's compare the three video recording software systems and see how they differ when it comes to performance. 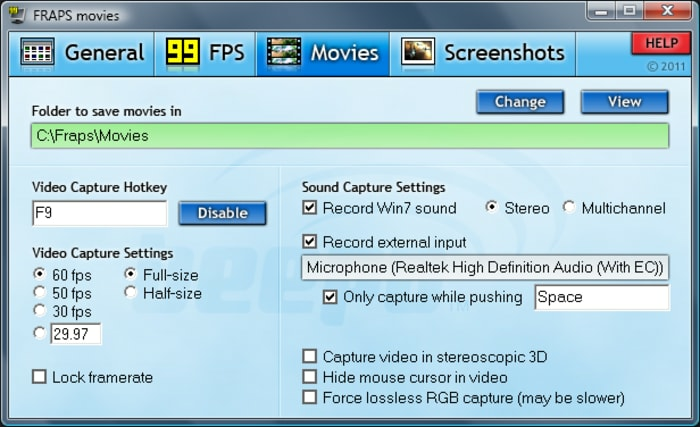 The Fraps video recording software can be used on all Windows platform. The amazing thing about Fraps is that it can even be used in Windows XP, an operating system that is hardly seen nowadays. Bandicam is also similar to Fraps in this case. It also happens to be feasible on all Windows OS. However, the winner here can be Camtasia, which can be used on all platforms. Whether it is Windows or Mac, the system works just fine on both of them. In the case of performance and reviews from users, Fraps has received 3.5 stars, while Bandicam 4.8 stars and Camtasia a whopping 5 stars. These performance rates have been submitted by gamers and video recorders and editors who have used three of the systems on their OS. The editing and recording interface of Fraps has received 3 stars from users, while Bandicam has received 4 stars and Camtasia has received 5 stars. This makes Camtasia a clear winner till now, which has a better user interface, can be used on all platforms and has received positive reviews from most of the users. With Fraps, you do not get to enjoy webcam recording, while it is available in the other two editing software systems. However, Fraps is leagues ahead when it comes to capturing frame. While both Bandicam and Camtasia have 60 frames per second speed, Fraps has 120fps, making it capture way better videos than the other two. All three systems are able to capture online videos and they are well-capable of skype call capturing as well. While video game capturing is a common factor in all three, there is a slight difference when it comes to capturing system audio. Only Fraps is unable to capture system audio, while the three can well capture sound with a microphone. 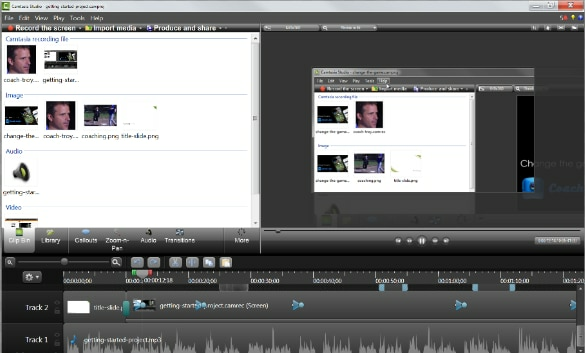 Video editing functions are slightly advanced in Camtasia. The system comes along with advanced editing features like timeline guidance, splitting and screen cutting options. The splitting and cuttings options are also available in Bandicam, but it is not present in Fraps editing system. Video transitions are in plenty in Camtasia, but they are not there in both Bandicam and Fraps. You can even add titles to the videos in Camtasia, but you certainly cannot add them in the case of the other two video editing systems. Camtasia has been widely reviewed to be the best on-screen video recorder that comes along with plenty of recording and editing options. The stunning video effects cannot be found anywhere except in Camtasia. Whether it is text or animation or plain icons, you can easily drag and drop them on screen with Camtasia in your hands. Drag and drop editing facilities are not so clear and smooth in either Fraps or Bandicam. Although both provide decent on-screen video capture, they do not give away much compared to Camtasia. The system even gives fast renderings and when you compare the rendering power of Camtasia with the other two; you will find that the former is leagues ahead than the latter two. If you’re looking for an alternative video editor to Camstasia you should check out Wondershare Filmora .